Join ICA for the opening of unique Dine artist Eric-Paul Reige and postwar architect and designer Ettore Sotsass. From 3 to 8 there will be an exclusive Eric-Paul Reige performance, followed by a member preview at 6 and an open exhibition at 7. 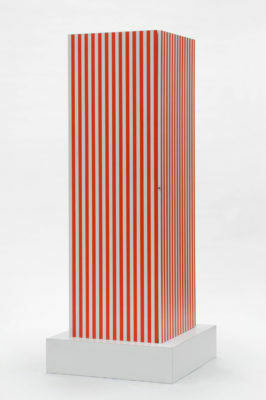 Ettore Sottsass, CABINET, "Superbox", 1968. Wood, striped red and white, laminated with plastic.